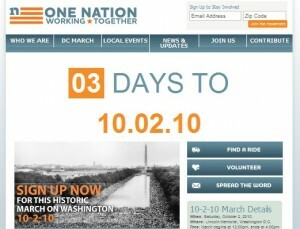 Glenn devotes this particular show to the ‘One Nation Working Together’ march that is happening on October 2, 2010 as a counter to the 8.28.10 Restoring Honor Rally. He lays out all the communists, marxists, socialists, and radicals that are endorsing this rally (and he is on fire). Bush Tax Cuts; Brainwashed To Yearn For The Status Quo? I agree. He’s just a bottom-feeder illegal alien with the typical narcissistic personality disorder suffer’s delusions of grandeur. What the Yuck. Vote in November!